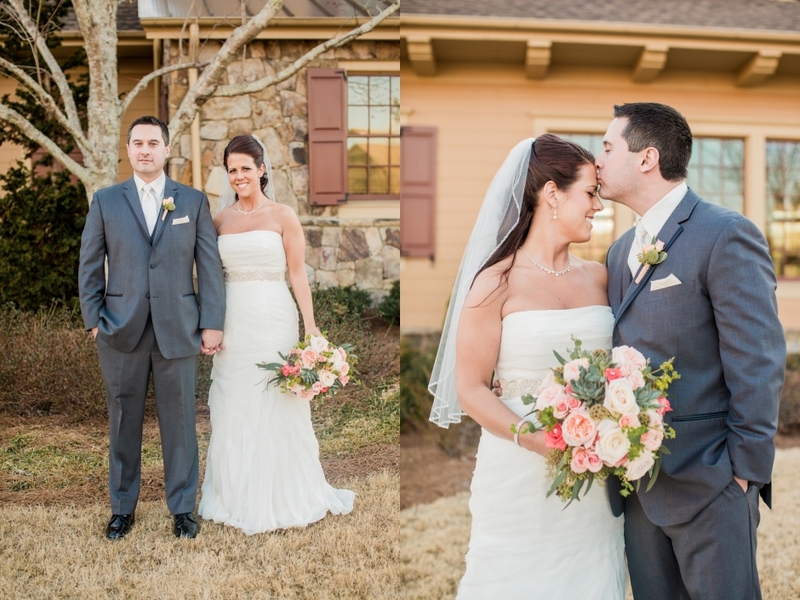 Don’t you love Spring time? 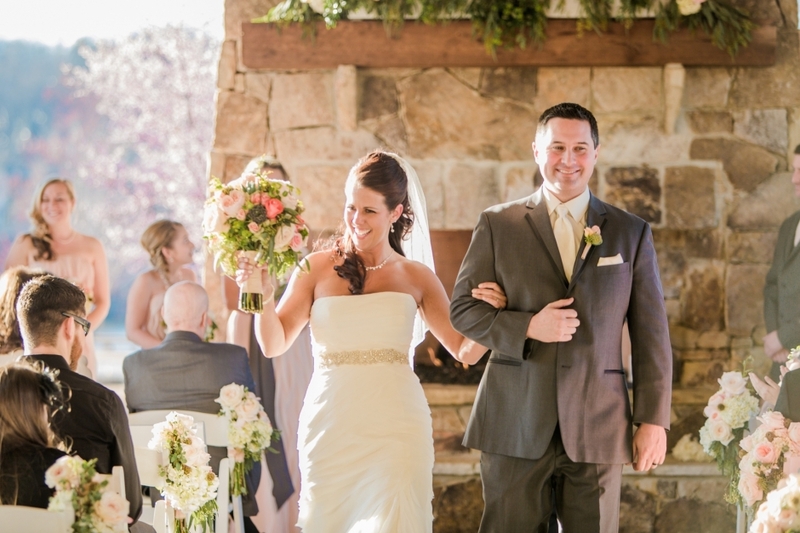 Design House of Flowers loves outdoor weddings! 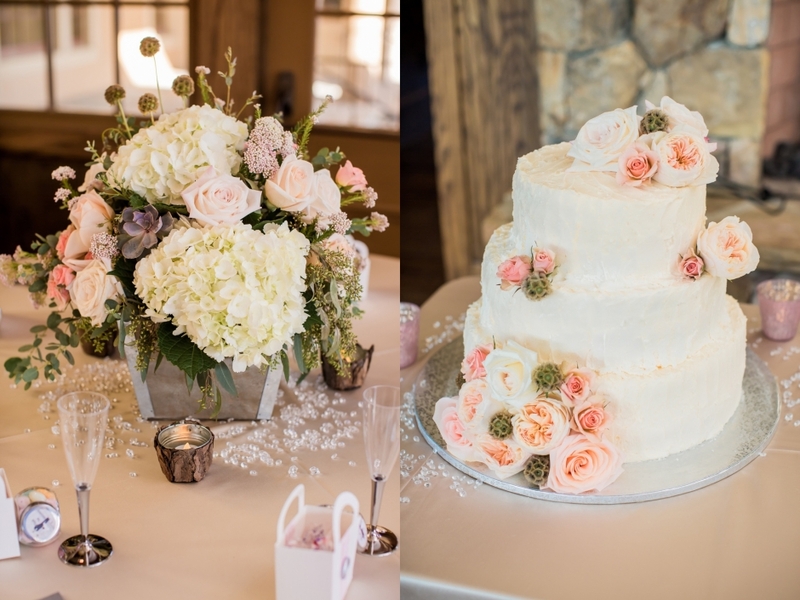 Decorating unique venues is our specialty and Sterling on the Lake Subdivision in Flowery Branch, Georgia was one of those signature places for a wedding! 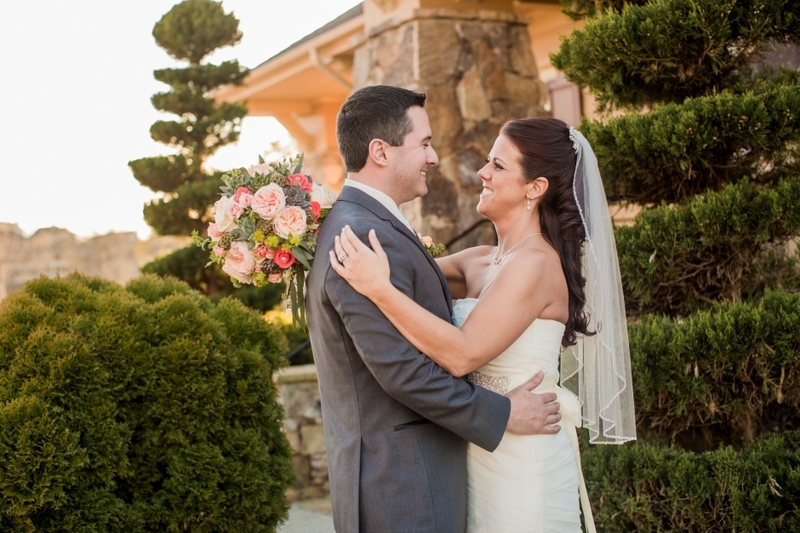 Kristen and Jeremy were married at the gorgeous clubhouse in an intimate ceremony surrounded by family and friends. 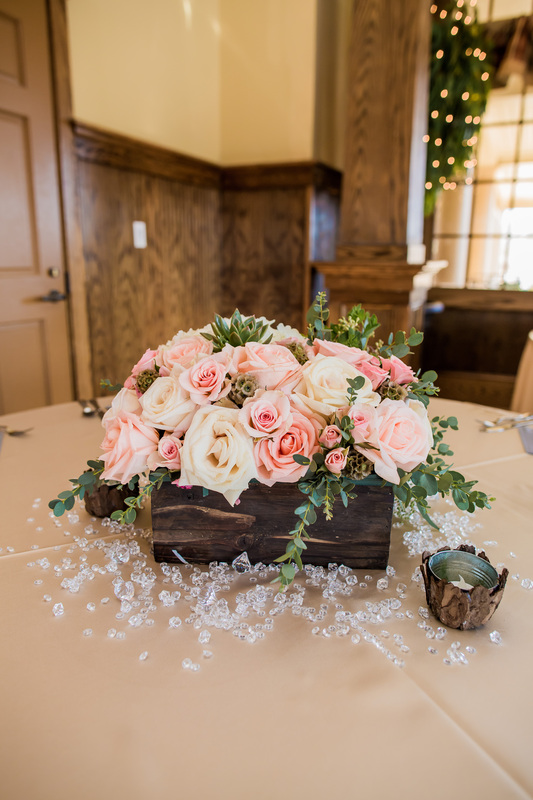 The large stone fireplace was the perfect altar setting as the mantle was designed with an abundance of greenery, peach garden roses, blush roses and hydrangeas all flowing in a large wooden box. 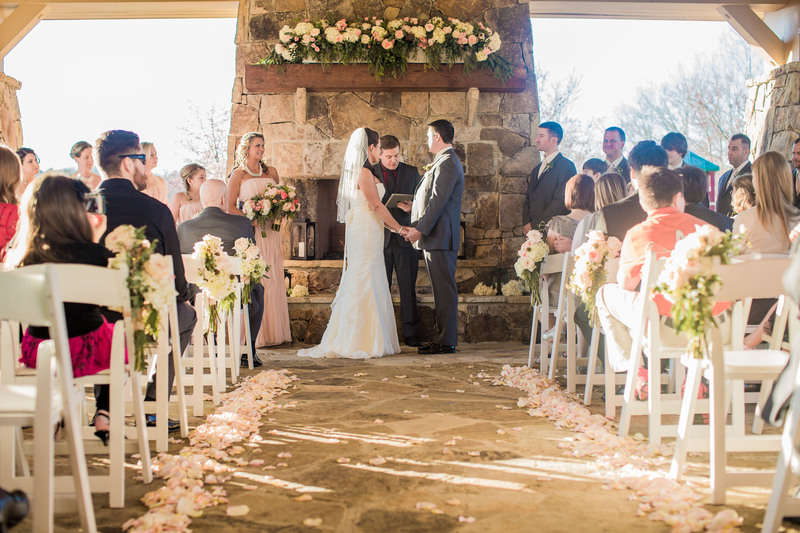 The center aisle lined with peach and white rose petals led the way. 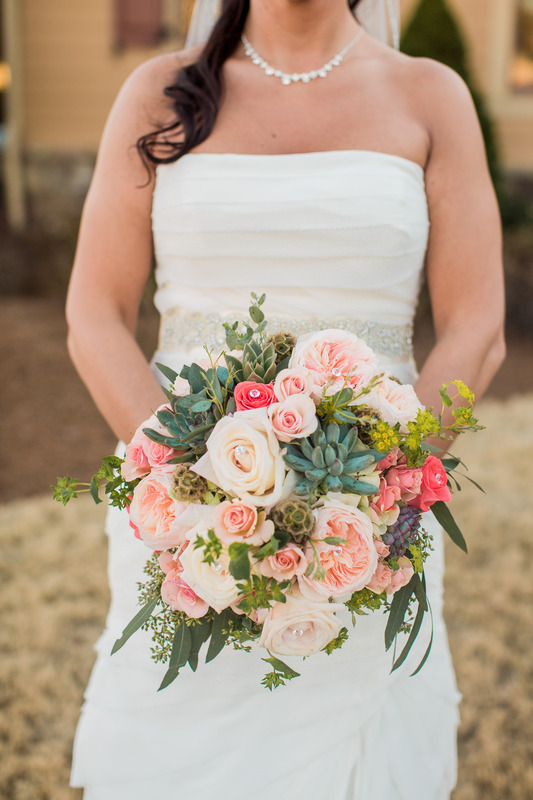 Kristen was a stunning bride, and fresh spring garden colors were everywhere! 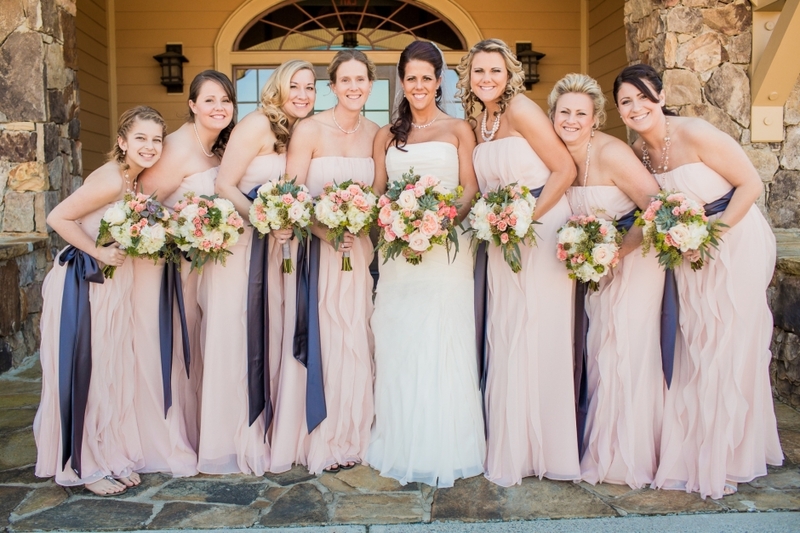 The blush and dark gray color combination was superb. 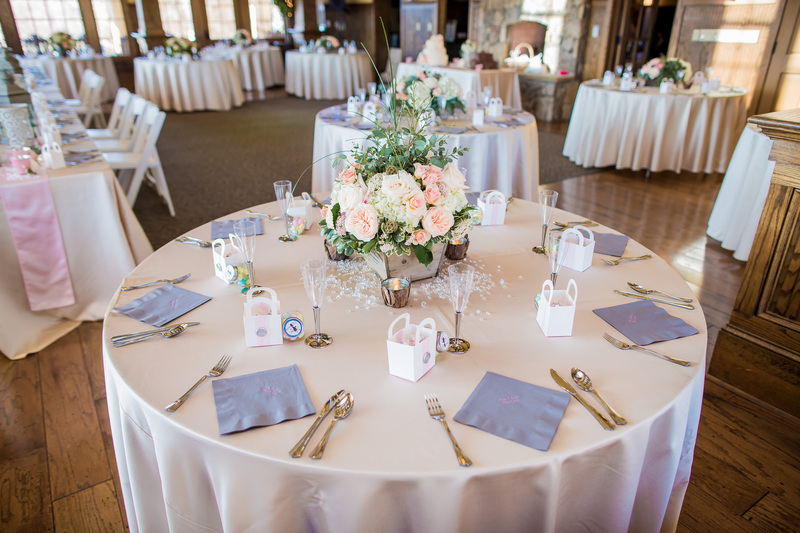 Meet the Burks Photography did a terrific job with these beautiful photos. Please enjoy.